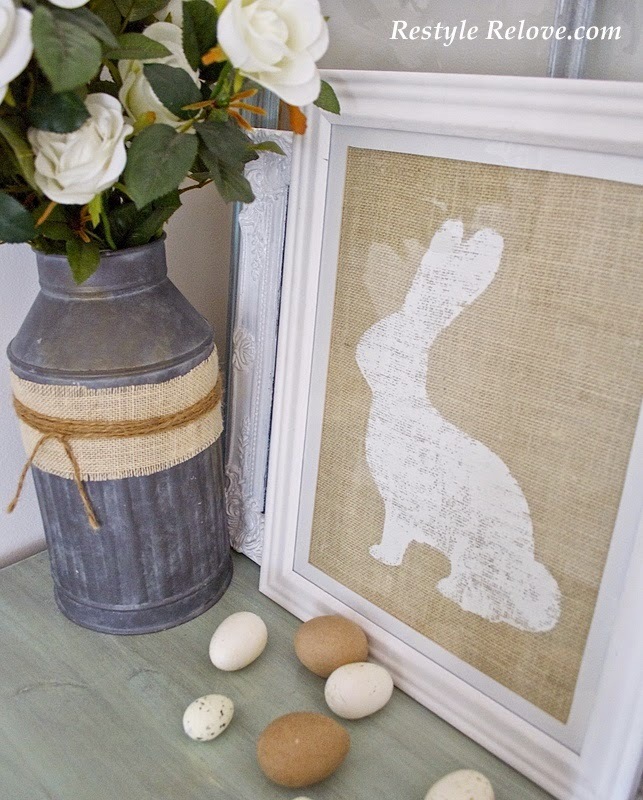 I'm on a bit of a roll with Easter projects this week so I've got lots to share with you this week. 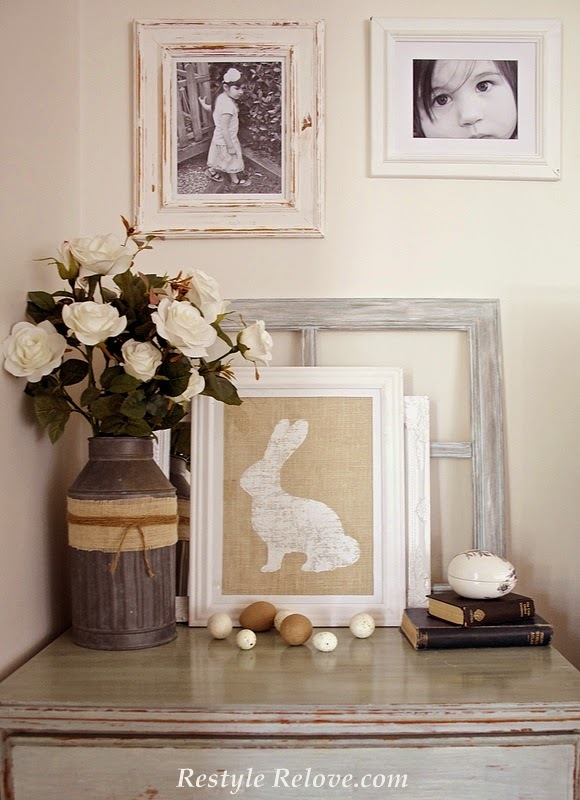 Firstly, my stenciled Canvas Bunny Framed Picture. 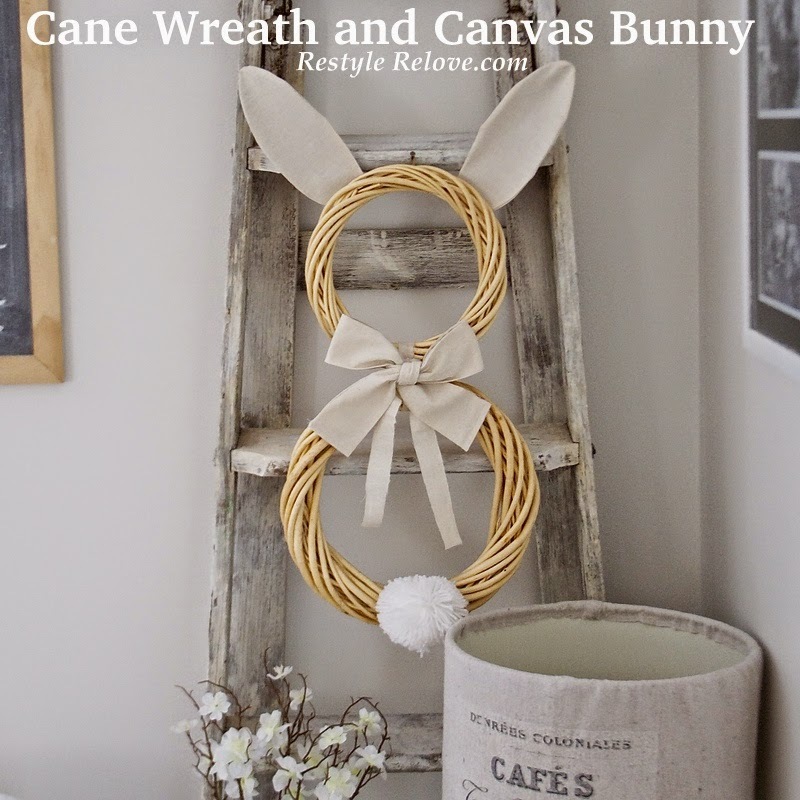 For this quick and easy framed bunny I used an old white photo frame and lined it with canvas. 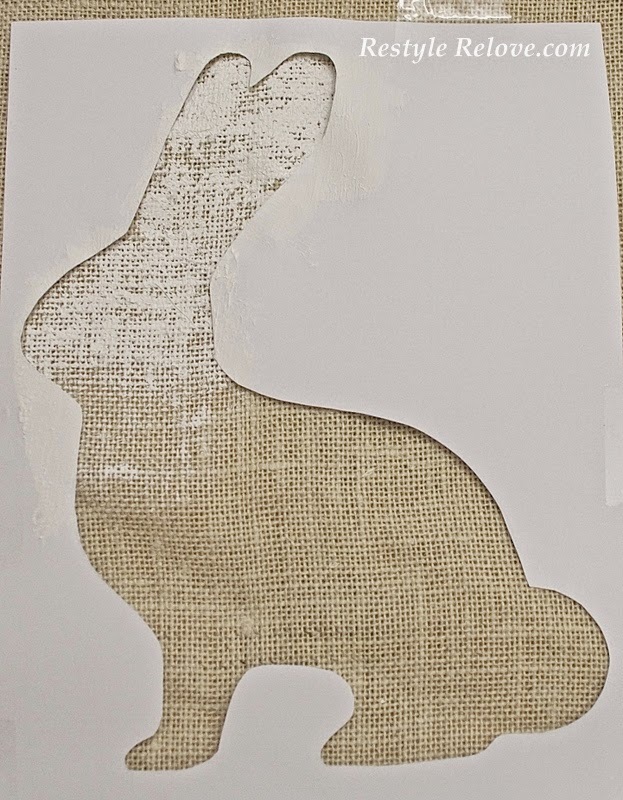 I printed off a bunny silhouette and cut it out. Then placed it over the canvas and filled the shape in with white paint. After it dried I placed a paper towel over the top and ran the iron over it to heat set the paint. I put it back in the frame with the glass on top and ta-da! 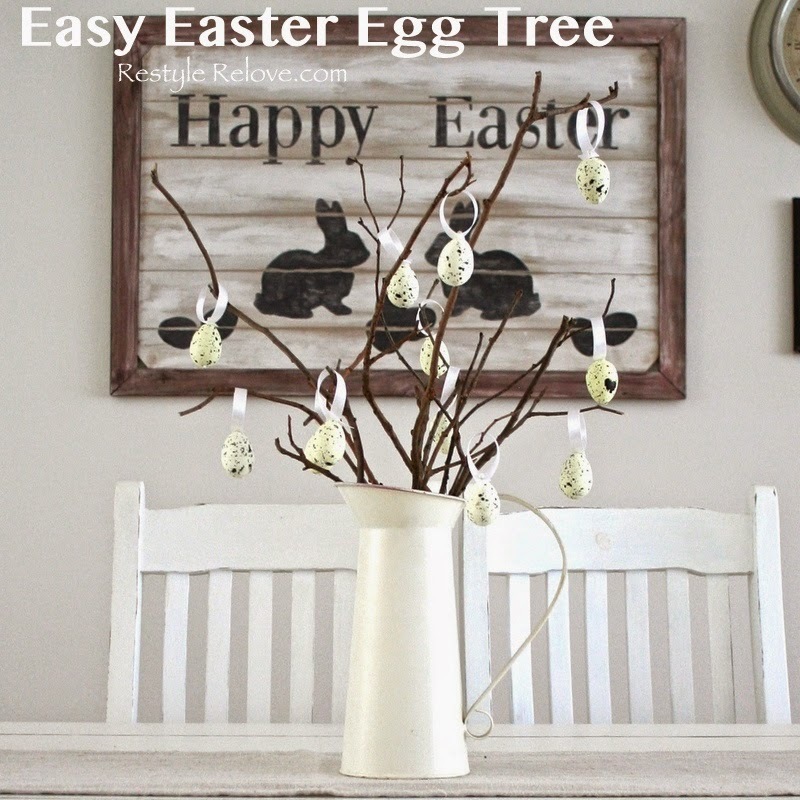 what a quick and simple yet cute project-love! 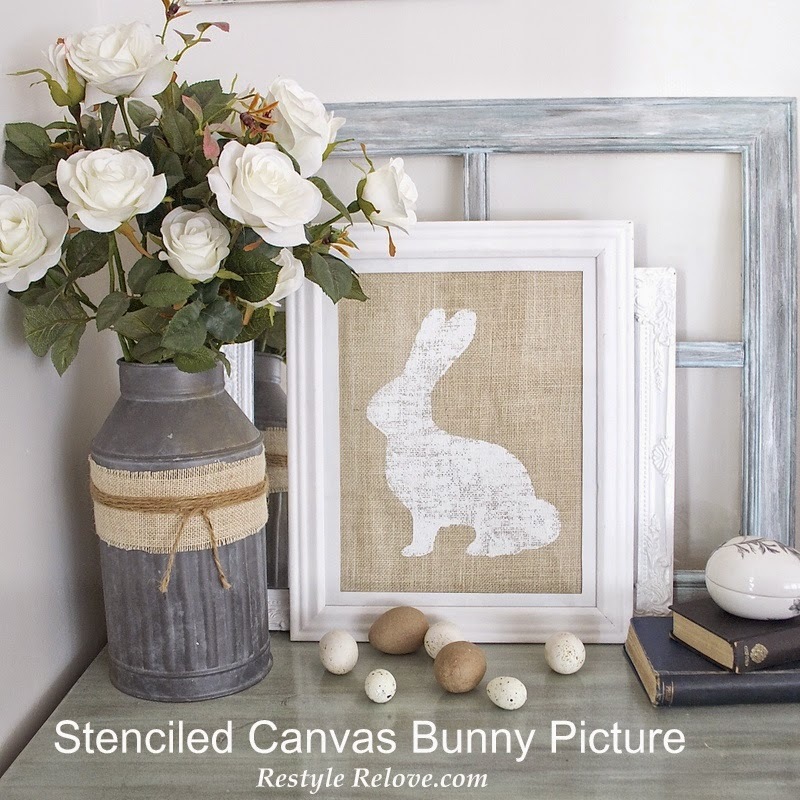 Julie love your bunny canvas! 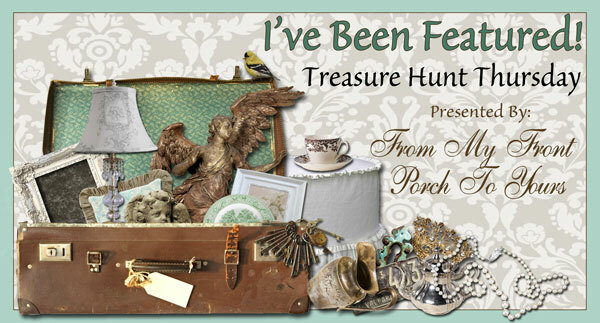 I have the supplies to make one but just have not done so yet. I just may make the time and get it done now after seeing yours. Thank you for partying at THT!